The fees you pay and the support available may depend on a number of different factors. Full information can be found on the fees & finance pages on our website. Aircraft aerodynamics and flying and handling performances are always the most important and challenging aspects for aircraft designs, particularly with the consideration of advanced materials and advanced aircraft technologies. At Glyndŵr University, the MSc Engineering (Aeronautical) will enable candidates to develop a deep understanding and solid skills in aerodynamics and aerodynamic design of aircraft, grasp detailed knowledge and application principles of composite materials and alloys, critically review and assess the application and practice of advanced materials in modern aircraft, model and critically analyse aircraft flight dynamic behaviour and apply modern control approaches for control-configured aircraft. 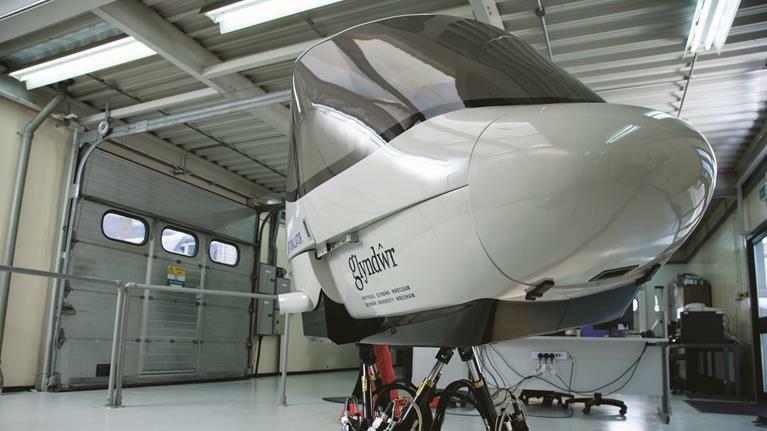 Candidates will have access to state-of-art Merlin flight simulator for design and testing their own aircraft, will learn and use cutting-edge design, analysis and simulation software: MATLAB/Simulink, CATIA v5, ANSYS, and ABAQUS, and will have access to subsonic and supersonic wind tunnel facilities and rapid prototyping facilities. Glyndŵr University is located nearby to one of the largest aircraft company in the world, Airbus and also has close link with aviation industries, such as Rolls-Royce, Raytheon, Magellan, and Airbus. The courses will give you the chance to advance your career to management levels. You might also consider consultancy, research and development, testing and design positions within the aeronautical industry. Airbus is a classic example of an employer excelling in this field in the north Wales region. Independent learning is an important aspect of all modules, as it enables students to develop both their subject specific and key skills. Independent learning is promoted through guided study or feedbacks given to students. Visit the MSc Engineering (Aeronautical) page on the Wrexham Glyndwr University website for more details!